Happy 2015, friends! How it's already a new year still baffles me, but I'm rolling with it. We'll just see how long it takes for me to go from writing 2014 to 2015! But I digress. Back to the refreshed space. On one of my days off last week, I started dabbling with my blog design (#bloggerprobs). What was going to be a few tweaks turned into a refreshed look (as is the case for me every single time). Sure, it's not a complete redesign, but it's a much needed refreshed space. Oh, and if you're detail-oriented, you likely noticed that I changed up the tagline for the old blog. I've never really had one because I would come up with one and change it 10 seconds later, but I think I've finally decided upon one and so far, it's lasted a week's time. So here's to sharing more stories, snapping more photos, and living more life. Happy 2015, friends! It looks great! Happy 2015! I love it! So clean and minimal and fresh! I changed my design a tad too for new year! Happy 2015 Kiki! LOVE it. For real. So really funny... but I have been working on a update and it's pretty much JUST like yours. Ha! I'm beginning to feel like we really are the same person. Thanks, Chelsea! Happy New Year to you, too! Thank you Danica! There's something about a refreshed design that really makes things fun. Happy New Year! Aw, thanks! I LOVE that we have similar blog designs--it's almost hilarious! Great minds must think alike. That, or we're also twins! Love the new look & that font(?) your blog name is in! Thanks, Robyn! It's actually my handwriting that I scanned in. One of my goals for this year is to try and up my handlettering skills! :) Happy New Year! Interesting. I didn't get a response, but I was looking back through the comments to see if that was your handwriting. And now I'm actually typing in a Disqus box... we'll see what happens when I post it! Thank you, thank you! I've actually considered it and done it before, but with work, I don't really have the time that that would deserve to do a redesign for someone--if that makes any sense. But it has definitely crossed my mind! :) Ideally, I'd love to do it on the side, I just have to figure work stuff out first! Thanks! If I had the time (aka wasn't working!) I would love to help you out! :) I actually really love the process of designing blogs I just don't have the time that it would deserve! It looks soooo great! I adore clean and simple, and the scriptiness of your title is so great. Don't tell me that's your handwriting?! The tagline is perfect for you too (and yes, detail-oriented me did spot that right away, ha). Refreshing for the new year is so nice in all parts of life, isn't it? Well done! p.s. I'm also so glad you noticed the tagline! I went through like 10 different ones before finally settling on this one! High-five for being detail-oriented! 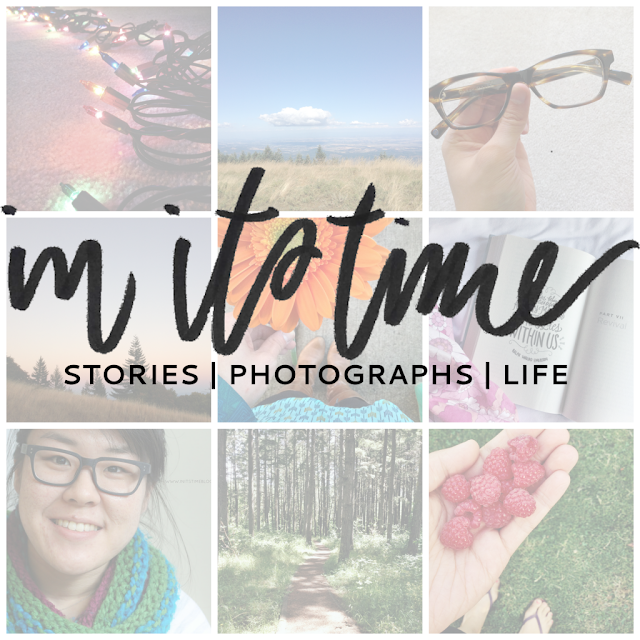 I just redesigned my blog a couple weeks ago, and I'm still having a hard time stopping myself from making more tweaks. It's kind of fun to mess around with designs! I absolutely love yours! The logo is perf and I love the simplicity. I'm trying to master hand-lettering a bit more so I can make my own logo a bit more visually pleasing. I get what you mean! I do that ALLLL the time because I'm so indecisive and I also like to change things up. Tweaking is fun and one of the main reasons why I don't think I'd be a good customer for a blog designer, haha. Thank you! My blog has needed a refresher for some time now and it just feels sooo much better now. If you still want help I would love to help you out with HTML/CSS stuff! I would totally be open to helping you out! I know how frustrating it can get, so I'd love to even pass along links/tutorials if need be! And I'm also kind of a snoopy design geek and love seeing what designs people come up with. And all this talk about little tweaks on blog designs gets me so excited! I cannot wait to make our 7 email chains into 8, haha.